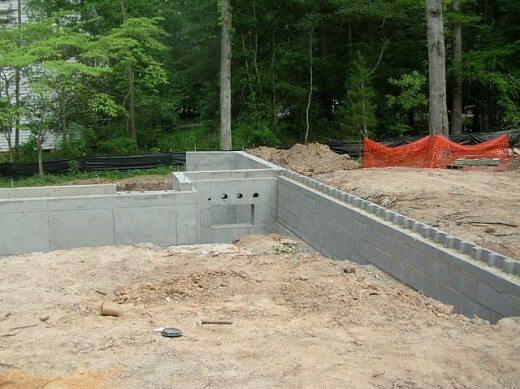 In addition to the work on the geothermal heat pump we have been getting started on the foundation of our net-zero project in Durham. 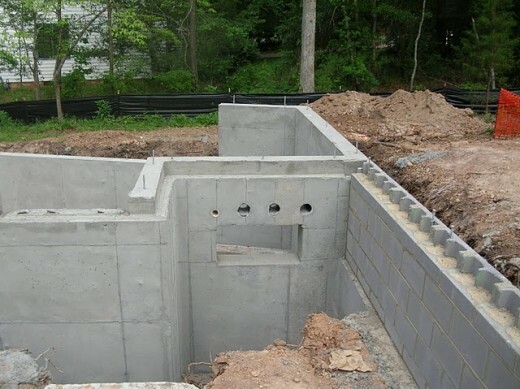 The foundation for this project has included a combination of 10" poured concrete walls (where significant retainage is needed) and standard concrete block where the grade is less severe. The penetrations in the poured concrete wall show the large opening where our mechanicals, (electric, plumbing, radiant piping, and pvc hvac supply ducts) will all be installed under the slab.